Honey & Tea and a beautiful hutch! 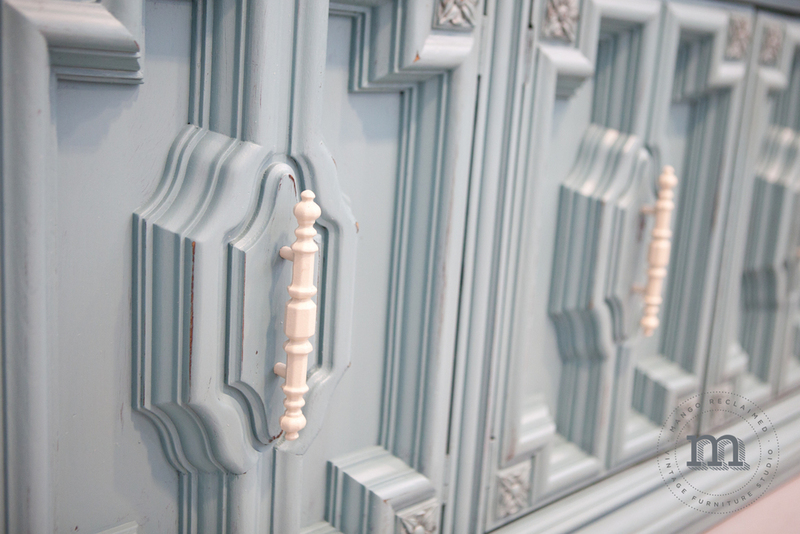 Recently I was thrilled to work on a custom restyled hutch for the lovely 'Honey and Tea'. 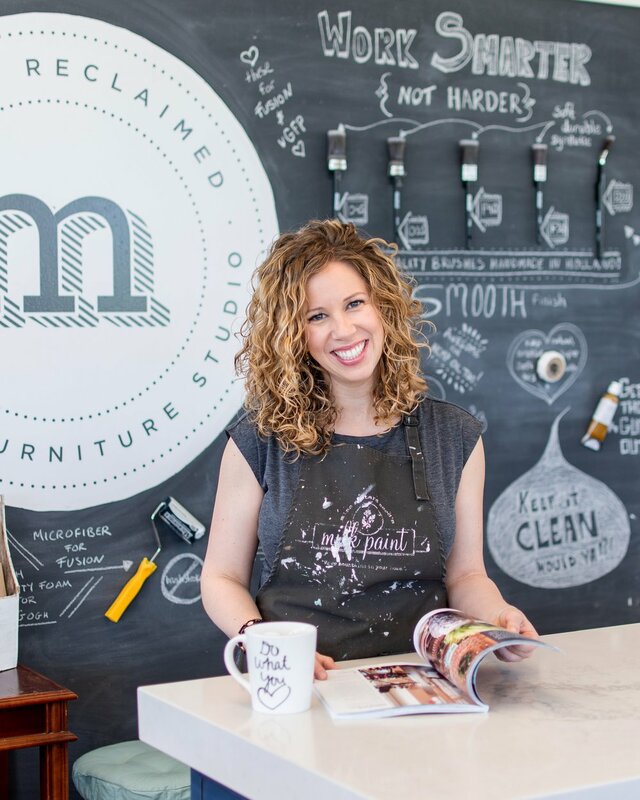 They wanted to get this gorgeous hutch into their space before their grand opening on saturday March 22nd to launch their new space. I absolutely love their exotic loose leaf teas! I absolutely love how this turned out! 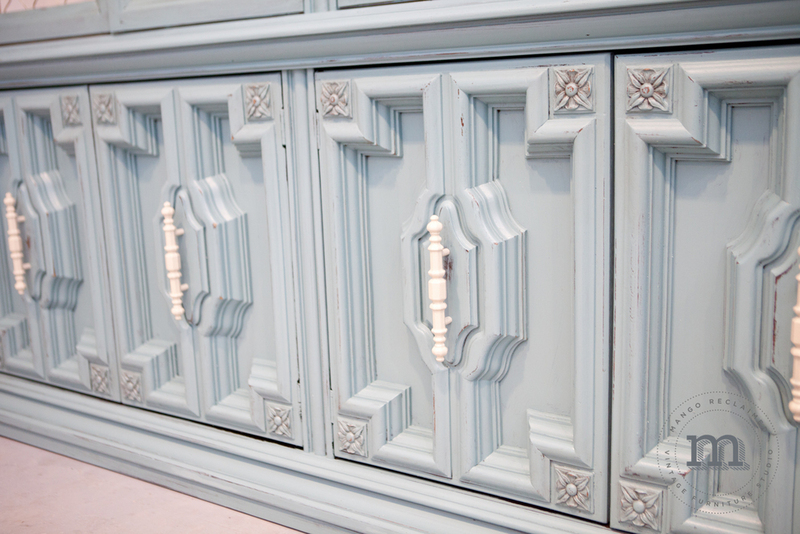 Overall painted in van Gogh ' River Tides', with the cabinet interior and hardware painted in 'Cashmere' it has a soft and airy overall look while still adding impact with it's colour. 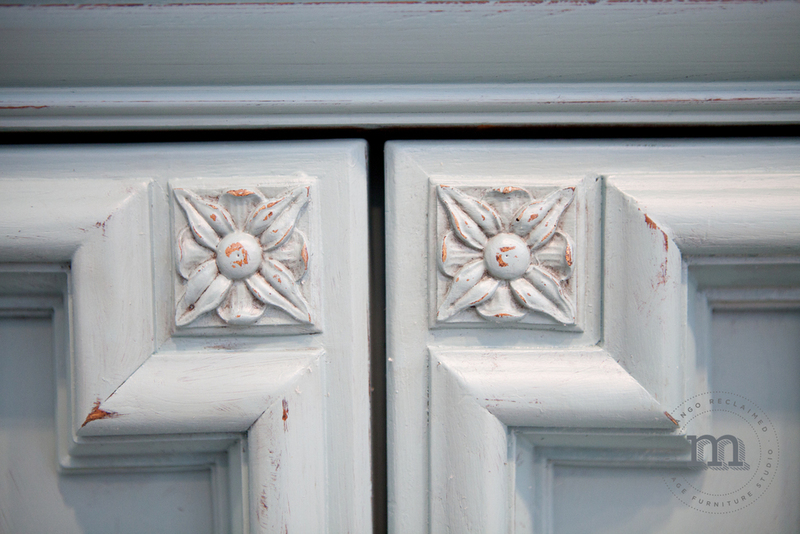 Distressing and antiquing add just the right amount of character. The glass shelves and side panels were re-installed when the cabinet was delivered. 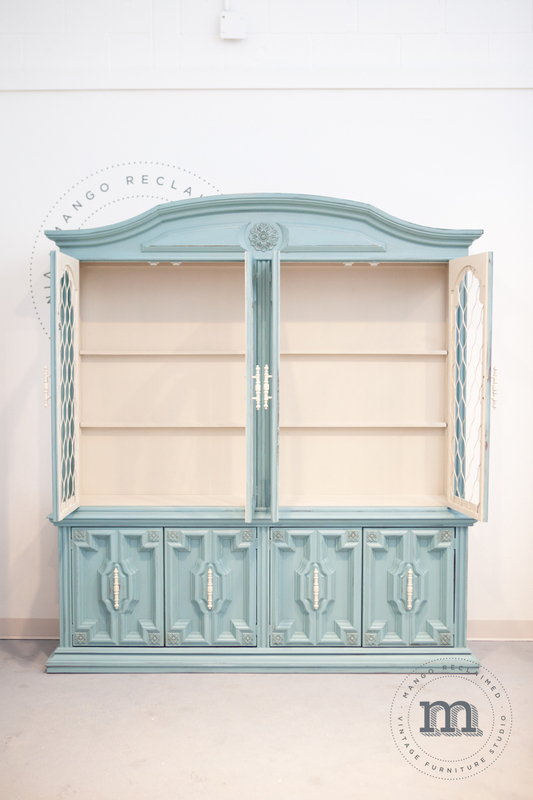 I can't wait to see this hutch filled with the beautiful product over at Honey & Tea! Here's a glimpse at the 'before'. If you have a hutch you would like restyled, contact us. Or if you would like us to customize this hutch for you (below), contact us.